Already, Herb has written some great articles about finance, financial analysis, and market research for small businesses and will be adding some more articles a few times a week that can really help your small business. Hope you’ll go on over and visit the ASBTDC-ASU blog today! 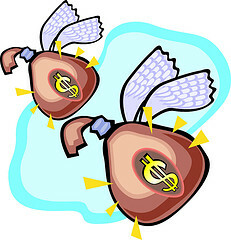 Recently Christi asked me to contribute posts to her great blog about small business issues, and after listening to her recent radio interview with Margaret Banks about turning Passion into Profits; I thought the first group of posts should cover resources for entrepreneurs to get a better understanding of their business to determine whether their idea was feasible. At the Arkansas State University Small Business and Technology Development Center, my consultants help a new client by conducting market research. Our consultants concentrate on 4 primary areas initially: Industry Information, the Market Place – consumer trends, competitive analysis and financial benchmarking. In this post I want to share some of the best sources we use to get a better “feel” of the industry. A good working knowledge of the industry your venture will operate in is a critical first step. The key is to find good reports that cover current economic conditions, trends within the industry, issues important to business owners in that industry, and the overall distribution channel. It also has a section on recent developments (updated quarterly to ensure current information) and current business challenges that the industry is facing, as well as benchmarking financial information, forecasting, and links to other sources. Our consultants pull First Research reports on the client’s specific business as well as businesses in the distribution chain to include wholesalers, manufacturers and complimentary types of business. First Research reports run from $130 to $250 per report. Professional trade journals are another good source of current industry information. The ASU SBTDC uses the Hill On-Line Reference Library’s Special Issues section to find current information from trade journals these journals often have quarterly or annual “State of the Industry” reports accessible through the Hill Library. For research in multiple professional journals, Hill can be a more cost effective option to purchasing from individual journals. Hill Library annual subscription is $225 and allows the subscriber to access a wider variety of reports most included at no additional cost as part of the annual subscription. SBDCNet is an on-line library for Small Business Development Centers to research client information on a variety of industries. Although primarily for SBDC offices, the general public can access SBDCNet and has limited ability to pull reports. Finally, Market Research.Com’s DataMonitor reports are an excellent (although very expensive) source for detailed industry data as well as recent studies on different consumer issues. Data Monitor reports can be ordered from their website and run anywhere from $500 to over $5,000 depending on the type of report. Obviously there are many resources available to a small business to conduct research but these four are great places to start. While the cost can be quite high for a small business owner the “intelligence” provided is invaluable. In Arkansas any small business can receive information from any of these sources through their local Small Business and Technology Development Center, and by signing up as a client this information is free of charge as part of our market research projects with our clients. For more information about how you can access any of these sources through the Arkansas SBTDC feel free to shoot me an e-mail; [email protected], call our office (870) 972-3517, join us on Facebook www.facebook.com/asu.sbtdc or make a request using the comment section on the blog. We would love to hear from you and see how we may be able to help your business. If you are outside of Arkansas we can direct you to the nearest SBDC in your part of the country. Next time I will show you some great sites and resources to start conducting research on your potential customers. AS promised on The Margaret Banks radio show, I am posting links to information that was discussed during the program. On the program we discussed “Turning Your Passion Into Profit.” If you missed the program, you can listen to it with audio on demand from Mountain Talk 97 Radio during the week of March 15th. Seminar for small businesses and non-profits to learn how to use Facebook as a tool for marketing their organization. These session walks attendees through basics of setting up their profiles before starting a Facebook Page. Topics include Why Facebook? What is Social Media Marketing and how can my organization use it? Setting friend lists, privacy settings, keywords for search engines and more. This seminar will be taught by Joe and Christi Wharton of Wharton Marketing located in Arkansas and Louisiana. Blog article with information you need to know to have control of one of your best business assets – your website! The source for all of that great information including feasibility studies. Arkansas Small Business and Technology Development Center provides assistance to start up and existing businesses throughout Northeast and North Central Arkansas through quality consulting, training and research – at no charge. Not in Arkansas? Check here to find the SBDC nearest you. Blog article with information on how small businesses are increasing revenue with the use of internet marketing. Lots of SEO information is available on this blog and our Facebook page. If you would like to talk to us about SEO, contact us at [email protected] or call us at 870-404-1985. I will be posting regular contributions on issues of interest to small businesses and entrepreneurs. Look for weekly posts on a variety of topics. I thought it best that my first post for 2010 should be a little background on me and on the work I do at Arkansas State University Small Business and Technology Development Center. I apologize in advance if it looks like an “info-mercial” but thought it a good idea to give readers an idea of what I do and how we assist small businesses. All of our con­sult­ing assis­tance and mar­ket research is free of charge and com­pletely con­fi­den­tial. Our train­ing sem­i­nars gen­er­ally do have reg­is­tra­tion fees from $25 to $49 depend­ing on the type of seminar. I have been the cen­ter direc­tor at ASU SBTDC for over four­teen years help­ing entre­pre­neurs and small busi­nesses in a fif­teen county area with a vari­ety of busi­ness needs. For more infor­ma­tion about how the ASBTDC can help your busi­ness please visit our state web­site, shoot me an e-​mail or join us on Facebook. We would love to talk to you about your busi­ness and how we might work with you. I will be post­ing weekly arti­cles on a vari­ety of top­ics that are gen­er­ally of inter­est to our small busi­ness clients. I hope they will prove use­ful to you. We need your opin­ion so let me know what you think. I thought a good way to start would be to dis­cuss a topic that has caught the inter­est of a lot of our small busi­ness clients, Social Media Marketing. Look for that arti­cle next week about how social media marketing can work for your business. Small businesses have slashed their marketing budgets in light of the recession, but those that are increasing spending and focusing on internet channels are increasing their business and thriving. What is your small business doing? Are you taking advantage of the great opportunities offered by the internet? Need help? Contact us at Wharton Marketing! It is interesting to read studies and find information that kind of jumps out at you. In the 2009 Business Social Media Benchmarking Study by business.com, we find just that. According to the study, the most popular social media resource for businesses are webinars and podcasts. That rings true with us. We often attend webinars and podcasts to keep up with the latest that is going on in our industry. However, when we look further, we see what most businesses offer, and it doesn’t necessarily match up with how most businesses use social media. For instance, we see, while businesses love to attend webinars and listen to podcasts, most don’t offer webinars and postcasts themselves. I smell opportunity here, how about you? Is Social Media the Secret Weapon for Small Business? Small businesses are much more likely to use social media than large businesses according to the 2009 Business Social Media Benchmarking Study. Why is that? The report does not look into the reasons, but I think there a few reasons that are obvious. Many larger companies ban social media use by their employees out of the fear that employees will squander work time. These fears have been seen before as far back as adopting the use of the telephone! Small businesses may find it easier to adopt new media because they are more flexible. Large companies are like big ships. They are big and bulky and it takes them time to turn and maneuver. Small businesses are more like speed boats that can maneuver quickly around obstacles and adjust quickly. The fact that small businesses are more likely to use social media gives them a great advantage. They can communicate directly with their customers and potential customers easily. They can create podcasts and webinars without big production costs that large companies would, no doubt, find a way to spend. Rather than being a faceless, nameless, large company, small businesses can use social media to be in touch in a personal way through social media. Is your business using social media? If you need help getting started. Contact us at Wharton Website Design and Marketing, and we will be happy to help you out.